The Offizieller Katalog der Internationalen Kunst-Ausstellung des Vereings bildernder Künstler Müchens (A.V.) “Secesion”, or in English, The Official Catalog of the International Art Exhibition of the Association of Munich “Secession” Visual Artists can be mostly found online thanks to Princeton University. The Secessionists showed annually from 1893 to 1919, with 1901 and 1909 dedicated to solely to medieval art and Hans von Marées respectively. The exhibits began in a 12 room gallery on Prinzregentenstrasse and Pilotystrasse and in 1898 moved to Koenigsplatz which today in the main museum complex in Munich. Friedrich Wahle is listed as showing artwork in the 1893 (inaugural) and 1898 shows. 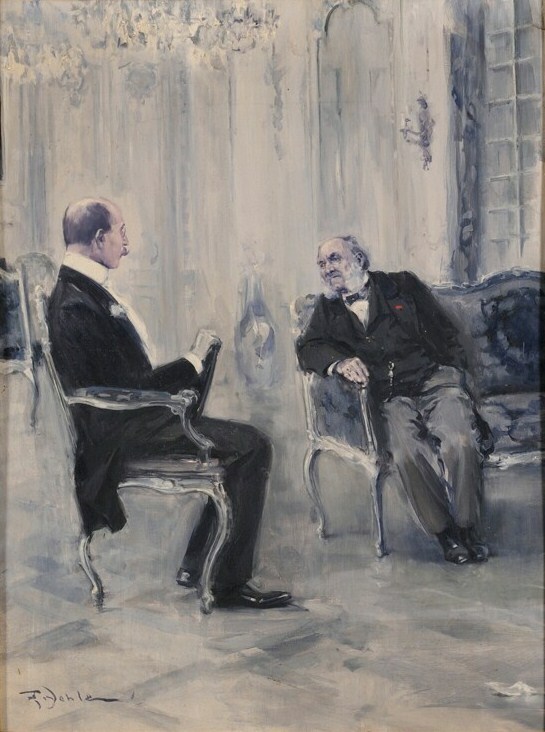 In 1893, Wahle has two pieces listed which are noted as only “gauche” and also for sale. Gauche is a more opaque version of watercolor painting which explains why these works are listed in the watercolors, pastels, etc. catalog section and not in the oil paintings section. In 1898, two Wahle works of “grisaille” are listed in the watercolors, pastels, etc. section. Grisaille is more of a term for monochromatic visual images rather than a particular artistic medium. 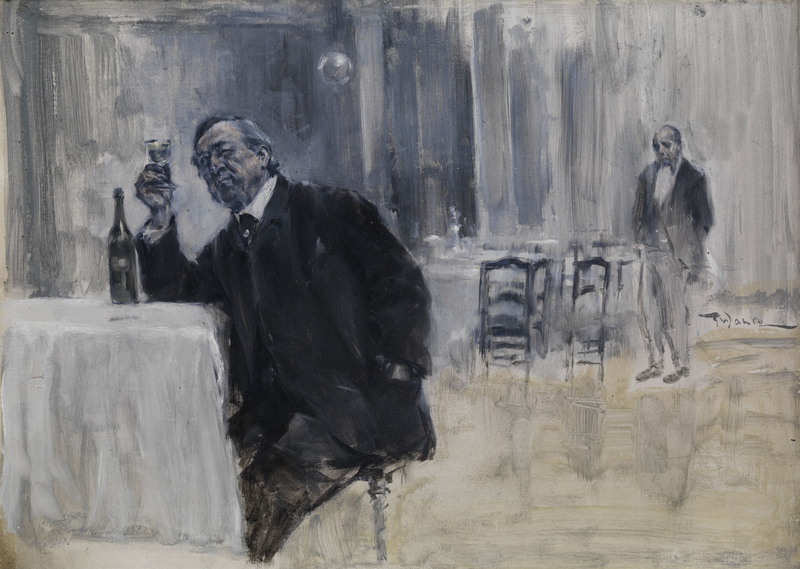 These paintings may have been studies or images more in line with his gray-blue works (like The Discourse and The Wine Connoisseur). No other descriptive information, such as subject matter, is noted in the catalog. While some images from the show are reproduced in the catalog, Wahle’s works are not. I am still tracking down the 1895 and 1897 catalogs, but otherwise these are the only pieces by Wahle shown as part of the Munich Secessionist exhibits. One of the most interesting elements of the catalogs is their membership roll which is printed at the end. Fritz Wahle is listed as an “ordinary member” of the Munich Secessionist Society in every catalog. Member addresses are also printed. In 1893, when he was 30 years old, Wahle lives on 33 R Kaulbachstrasse which is only 700 meters from the art school. From 1894-1900, he lived at 4/4 Ainmiillerstrasse. Then at age 39, and from 1902 onward, he is listed at 16 Klugstrasse in Gern which was a western suburb at the time and is now part of central Munich. What can I speculate about these moves? Was marriage and family a factor here? 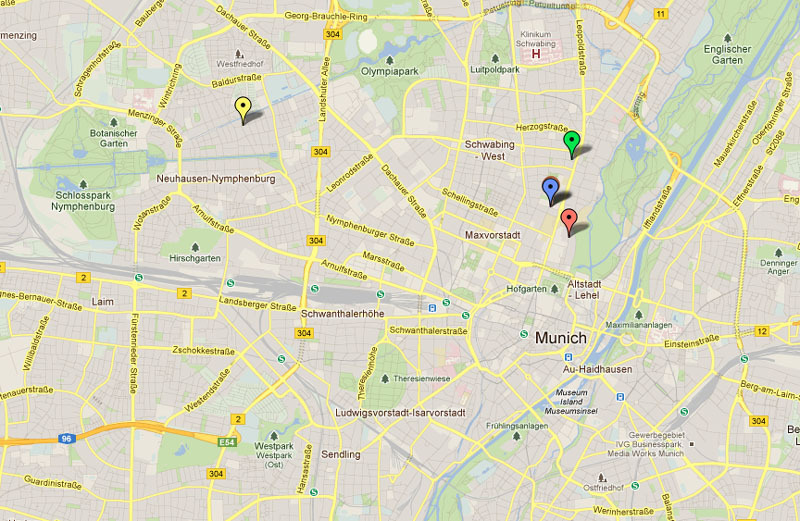 I need to do some more research about Munich, but maybe he married in 1894 and the couple moved into a new apartment. Then after six years, several children and a profitable career as an illustrator, the Wahle family moved to a bigger house in the suburbs. The last, very interesting clue is a portrait bust of Wahle. At the back of each Secessionist catalog are 20 or so reproductions of the paintings and statues in the show. 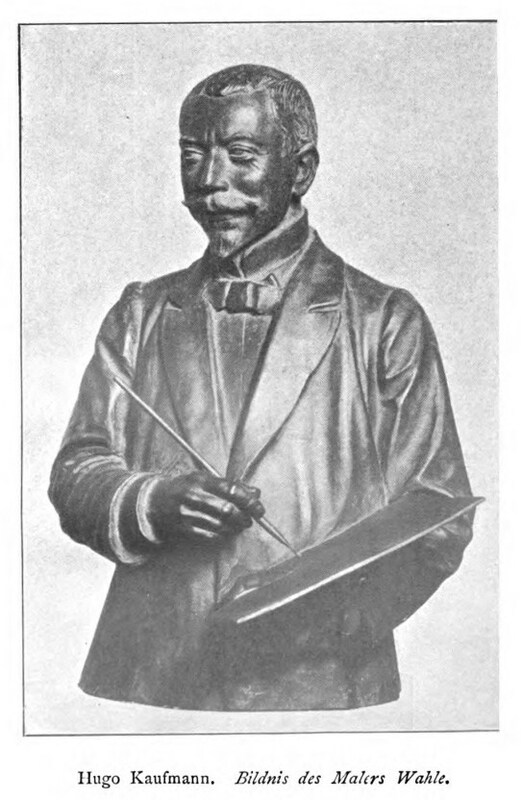 Sculptor Hugo Kaufmann produced Bildnis des Malers Wahle (Portrait of the Painter Wahle), an image of which is featured in the 1899 Munich Secessionist catalog. This can only be a portrait of fellow Secessionist Friedrich Wahle. It looks like I finally found a reliable likeness of Wahle! You can judge for yourself if it looks like cartoon Fritz Wahle. Nice detective work. and Wonderful you own a picture by this chap. He lived, and clearly participated in, amazing times. Good post.